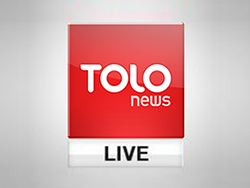 Gunmen Kill Tribal Elder in Jowzjan | . :: Elections 2014 ::. Local officials of Jowzjan province confirmed that a tribal elder named Sayed Azizullah was shot dead by a group of unidentified gunmen on Tuesday. Officials were not sure of the motive behind the attack, but they suspect it was related to Mr. Azizullah's cooperation with local Afghan security forces in the area. The incident took place in the Darz Aab district of the province while Mr. Azizullah was on his way home. Rahmatullah Ashar, district governor of Darz Aab, said that the police have arrested three suspects already and have detained them for questioning. Reportedly, the tribal elder was working with security forces to prevent the Taliban from gaining control in several parts of the province. However, no one, including the Taliban, has yet claimed responsibility for the attack. Community leaders like Mr. Azizullah often occupy an uneasy but influential buffer zone between the formal authority of the Afghan government on one side and the grassroots-model of the Taliban militancy on the other. While tribal elders have and continue to be essential to the counterinsurgency and community development strategies of the Afghan government, collaboration with security forces has often made them targets for the Taliban. At the beginning of August, 22 Afghan policemen and 76 Taliban insurgents were killed in a five hour gun-battle in Nangarhar province that began after militants ambushed a police caravan returning from a successful operation to secure a tribal elder who was on the Taliban's hit list. Back in January, two tribal elders were abducted and killed by armed men, though the attack was not claimed by the Taliban.